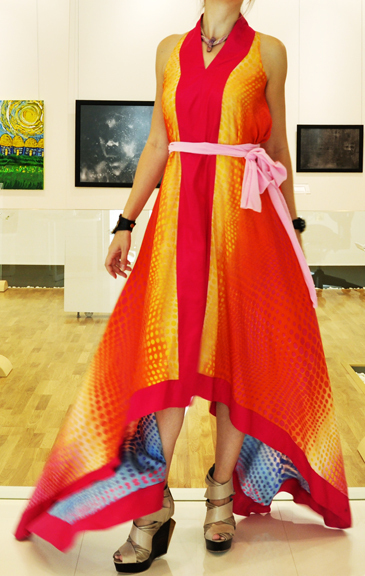 I never have a clue how to wear this shalwar/dress/caftan thing. I got it from a local Pakistani boutique, and while I love it, the fact remains I can’t figure the damn thing out. A big part of the problem is the length on the sides. Even in tall shoes it drags. The sash I added, because with the length it’s just too much material all over the place making it look like a technicolor vomit sack; it needs to be reigned in. The cut is a bit strange so I am hesitant to get it tailored and hemmed up. 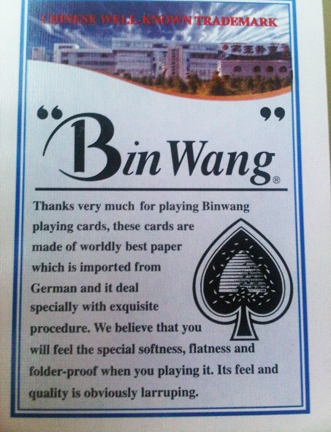 Secondly, this is from a set of cards I picked up in a village (Chhomrong, I think?) when, this time last year, I was trekking in the Annapurnas. This is grade-A Engrish that would be a shame not to share. ‘Larruping’ is a real word, by the way, albeit one that’s not really been in use for quite some time (“to beat, flog or thrash”). Hmm about the dress, I’m not sure what this would look like, but maybe the long ends of the dress could be knotted together, pulled up and worn around a shoulder, kind of like some origami dresses I’ve seen?